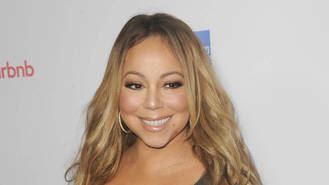 The Hero singer gives fans an all-access insight into her life in the upcoming eight-part docu-series Mariah's World and in the first episode, her manager Stella Bulochnikov is seen hiring a new personal assistant for the singer, who has had a diva reputation for years. According to The Sun newspaper, Mariah has a list of demands for her next assistant, which include no dating for the first year of employment. "A personal assistant has to anticipate someone's needs," Stella reportedly tells the new member of staff. "A personal assistant has to wait by the door and have the sunglasses and the shoes ready. "It's an abusive job, and I have a rule - you're not allowed to date for the first year of working for myself. And also there's no crying allowed in my office." The docu-series premieres on E! on 4 December (16). The show was due to include appearances by Mariah's then-fiance James Packer but it has been reported he has been edited out since their split in September (16). However, a source close to the Australian billionaire disputed the claims, telling Entertainment Tonight, "The show hasn't even finished shooting. He has not asked to be taken out. It is totally false." Despite their break-up, footage showing the We Belong Together singer trying on wedding dresses and planning for the ceremony are still set to air, and she told the website watching those moments back are "bittersweet" but "you just have to focus on whatever you're focusing on and keep it moving." "The stories (are) interesting because it shows the side of the entertainment world that's not just the celebrity (aspect)," she explained. "It's real (and) I don't feel like it feels like a scripted kind of reality (show) whatsoever." Mariah and James, who became engaged in January (16), split following a fight in Greece and in her first TV appearance since the break-up, she told chat show host Ellen DeGeneres she was "doing well".